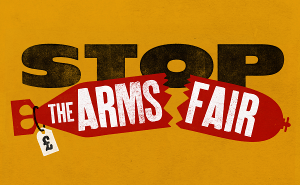 Are you getting ready to Stop the DSEI arms fair? Looking to skill up? Look no further! Learn more about taking creative, non-violent direct action? Get your message out in the world through the news? Know how to whip up a Twitter storm? Understand your rights when protesting? This is the in-depth training session for you. The venue is wheelchair accessible with a wheelchair accessible toilet. More information about the venue is available here.